'Depends on what you consider a PC,' Unit-e Technologies founder Eric Yockey explains when asked to name his favourite classic PC game. 'My first system was an Atari XEGS, which I got when I was about three years old. Pirated games were often sold in bulk in stores at that time, so I had tons of games on 5.25" floppies, and some of them even worked. I spent a lot of time playing games like Blue Max, Ninja, and Trailblazer. My mother liked B.C. 's Quest for Tires and my father liked Hardball. Video games were in a strange place in the late 80s; they seemed more accessible to older generations than modern video games are, and we often played together. Part of that magic is what we're trying to recapture with the PC Classic. There's a reason to be discussing vintage games with Yockey, and it's not idle curiosity: Through his company Unit-e Technologies Yockey is looking to bring back the days of DOS gaming by following in the footsteps of Nintendo and Sony with a miniaturised plug-and-play microconsole dubbed, imaginatively, the PC Classic. 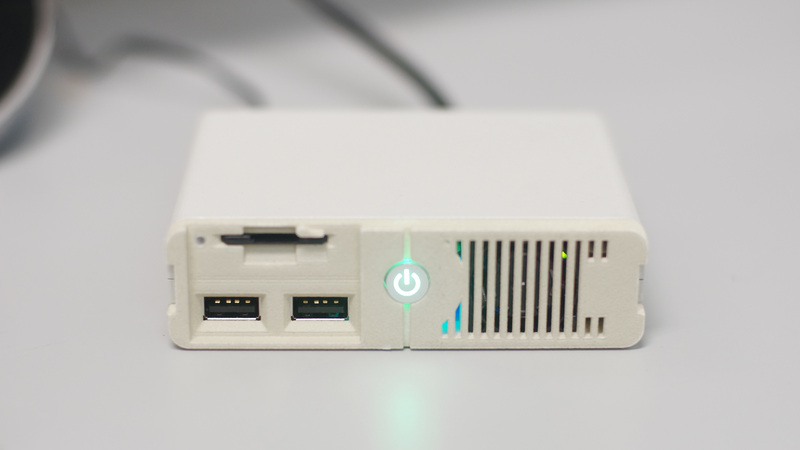 The design, which looks like a classic IBM that went through a boil wash, features over 40 officially licensed games, modern HDMI and classic composite video and audio outputs, USB connectivity for controllers, SD card expansion disguised as a floppy drive, and built-in Wi-Fi connectivity for updates, additional game downloads, and potentially even network multiplayer. It's an idea that started life as a joke. 'Our principal engineer saw that people were joking about things like "the VCR Classic" and "the PC Classic" and he pitched it to me because he felt we could actually make a PC Classic, and moreover make it really cool,' Yockey recalls. 'I discussed the project with a bunch of people from various backgrounds and varying amounts of technical ability, and most people took an immediate liking to it and would say something like "oh, yeah, if I could play Jill of the Jungle on my couch, I'd totally buy one!" There's another fly in the ointment, too: Game licensing itself. It's here that Nintendo, Sony, Sega, and Atari had a leg-up when it came to jumping on the emulated classic console bandwagon: Each company developed first-party and published third-party titles, giving them a ready-to-rock back catalogue of games which could be raided for titles to pre-install on their shrunken recreations. Unit-e, by contrast, has no such intellectual property to hand - but that's not stopping Yockey. 'We have 41 games lined up for the system so far,' he claims, 'and will likely still be negotiating long after the console launches for expansion titles. We don't have all the core titles we want to include with the system yet, but when we do, we'll release a list of confirmed titles. Yockey talks of considerable interest, both from potential customers and industry partners, since the PC Classic was teased late last year. His announcement has also stirred up some controversy, shared by those of equivalent devices from Nintendo, Sony, and the like: That any 'classic console' can be reproduced at a lower cost using a Raspberry Pi, suitable emulation software, and a 3D-printed case for aesthetic value. 'Most products are "just" a combination of materials and service, and more often than not the bulk of what you're paying for is the service,' Yockey explains, in defence of his target $99 price point and the use of, in the prototype at least, an off-the-shelf low-cost single-board computer (SBC). 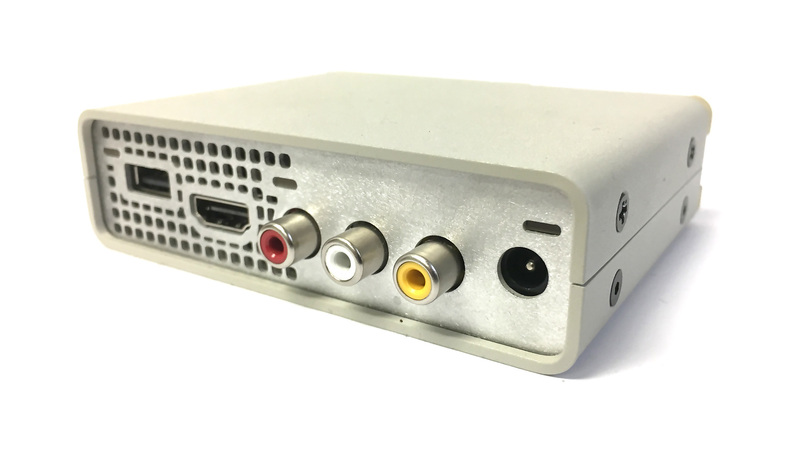 'The service the PC Classic provides is optimised, hassle-free, and legal access to retro PC games in your living room. There are original materials, too, like the case/faceplate. One of these choices ties the hardware to the software, it seems: In an update video published to the Unit-e YouTube channel after our interview, Yockey explains: 'Most of these games are not emulated. A lot of them are built for the architecture that's running on the PC Classic.' Native execution, if it can be achieved, would mean none of the glitches or slowdowns associated with the use of emulators like DOSbox but would require either access to the original source code for recompilation or the use of an x86 architecture SBC. So far, Yockey hasn't detailed exactly which route the project is looking to follow. 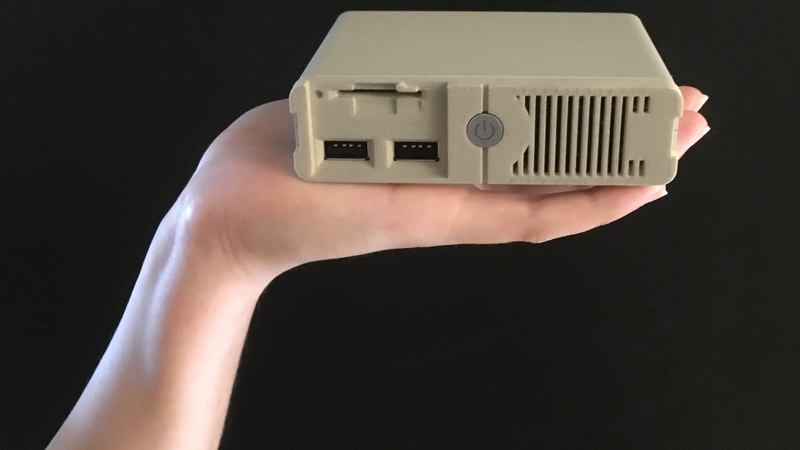 More details on the PC Classic, which with a following wind will be heading to an as-yet undeclared crowdfunding platform in the very near future, can be found on the official website.